During our stay in the Western Cape last year we took a few days off to drive along the west coast to the town of Vredendal, where I was at school for three years from 1965 to 1967. 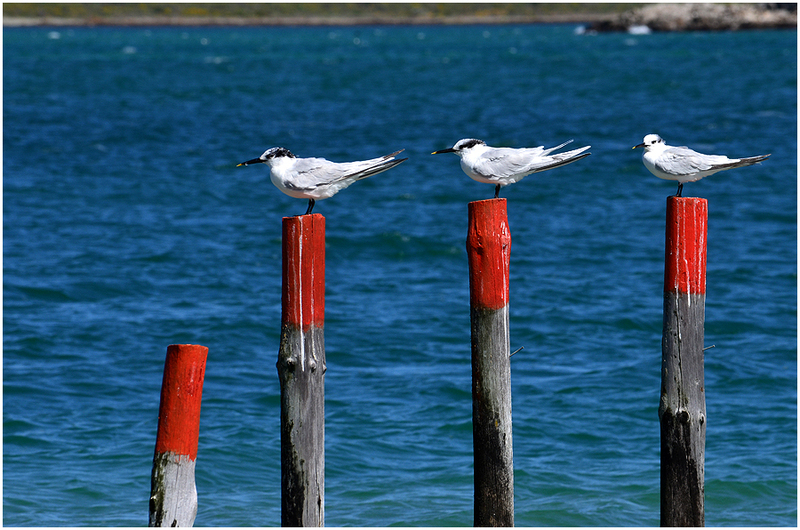 I have an enduring love for this part of South Africa, and have very many happy memories of the time I spent in the area, whether it was Klawer (where we lived briefly in 1960) or Vredendal itself, not to mention seaside towns like Strandfontein, Doringbaai and Lamberts Bay. 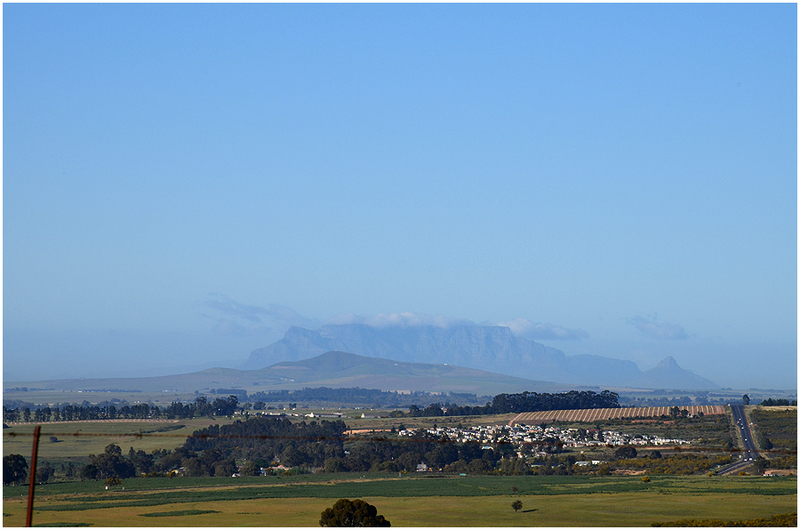 On the road, looking back towards Cape Town, with Table Mountain and Devil’s Peak on the horizon. 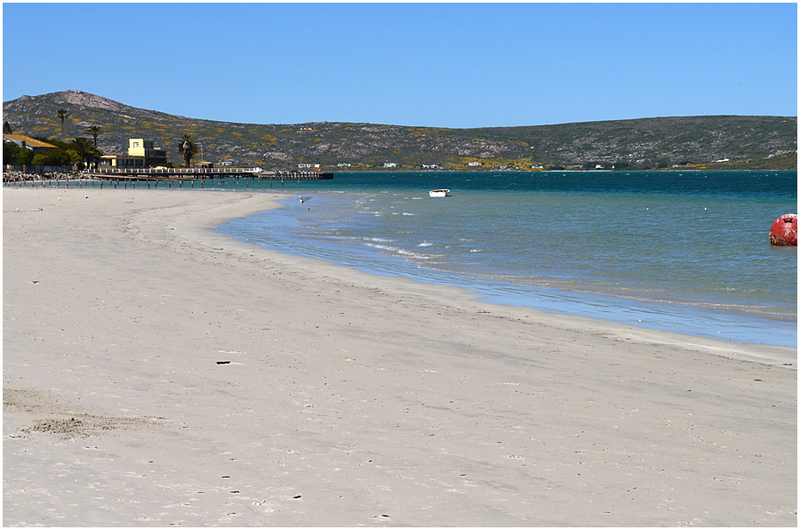 Long Beach, Langebaan. I spent so many happy holidays sailing my little dinghy on the lagoon here! 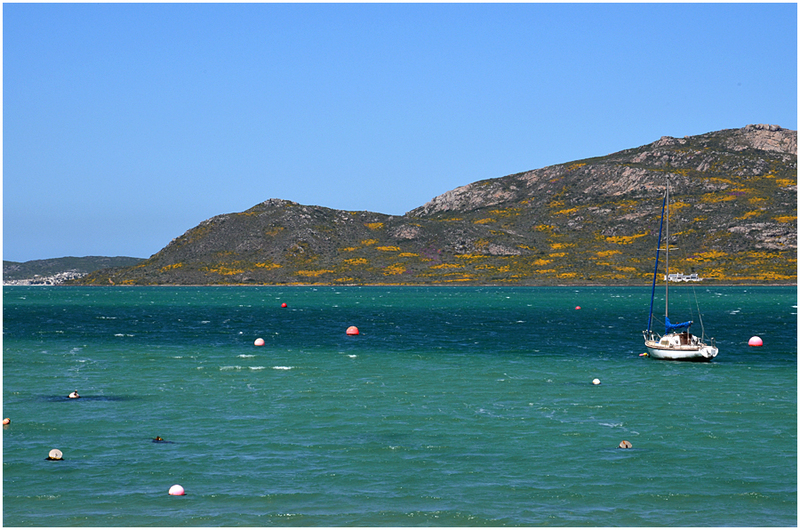 Looking across Langebaan Lagoon towards Postberg and Kraal Bay. Constable Hill is on the right. 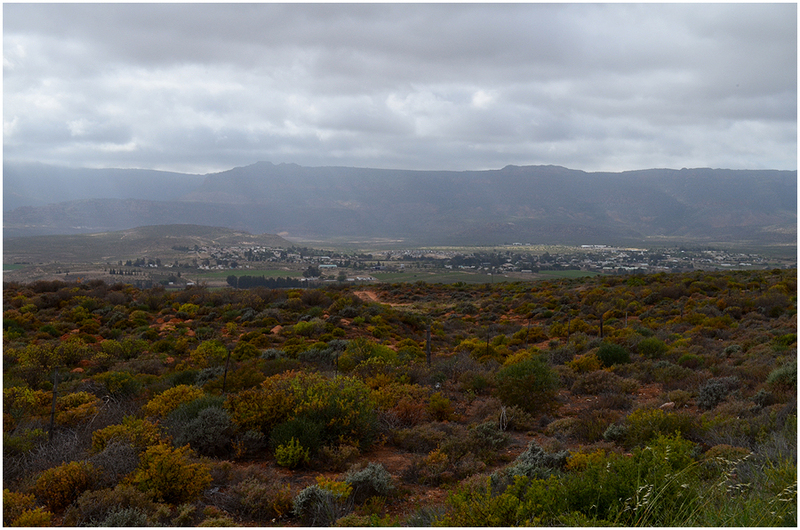 The Olifantsriver Mountains just before one reaches the town of Citrusdal. Clanwilliam dam. 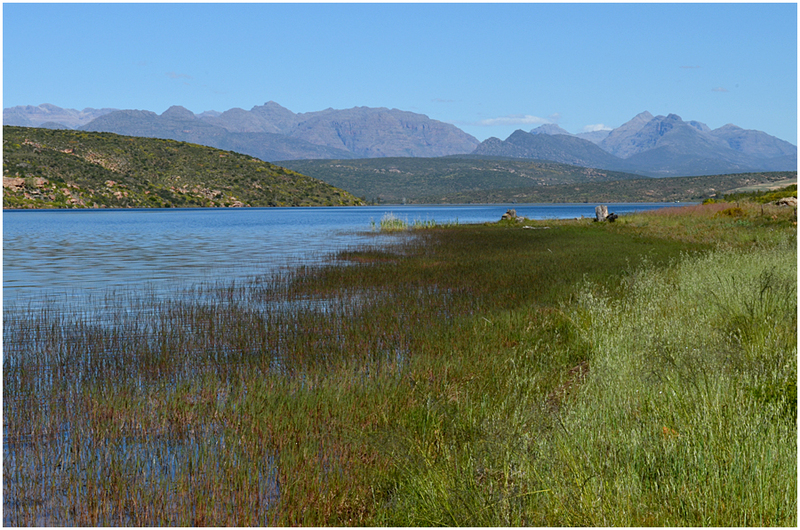 This is towards the shallow end of the dam, looking towards the Cederberg Mountains. 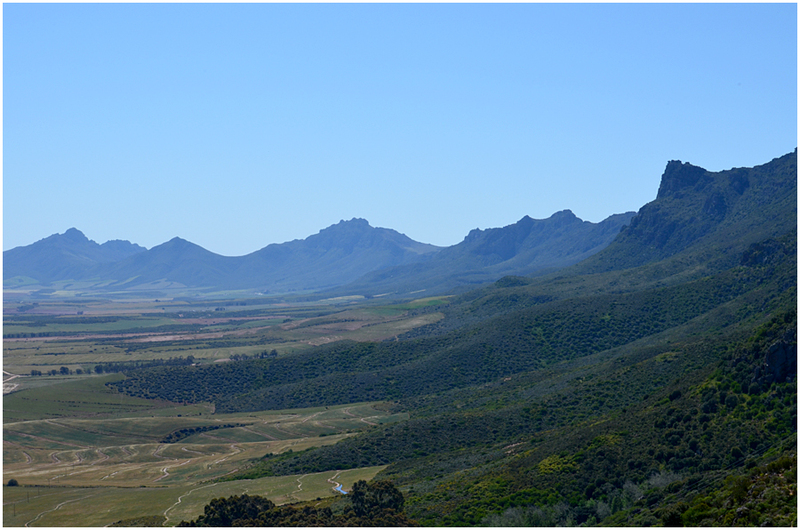 Klawer lies half hidden in a hollow at the foot of the Matzikama Mountain, seen here from the road to Vredendal. 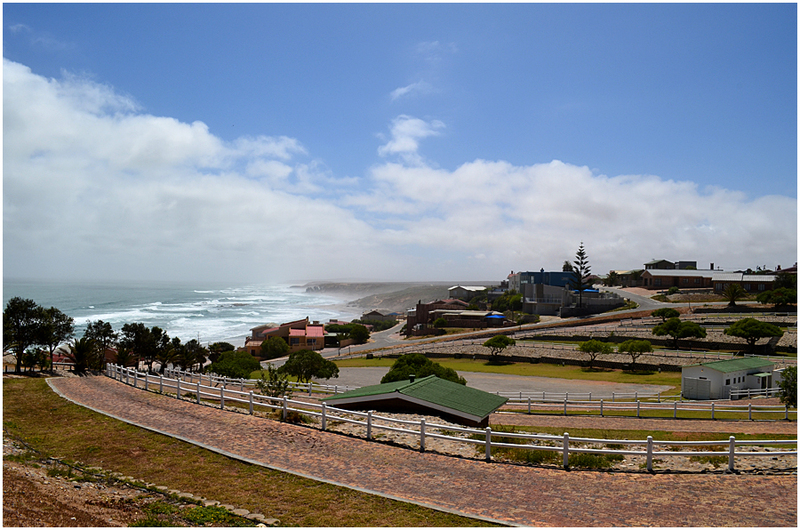 The coastal resort of Strandfontein. This is just a small part of this popular resort town. 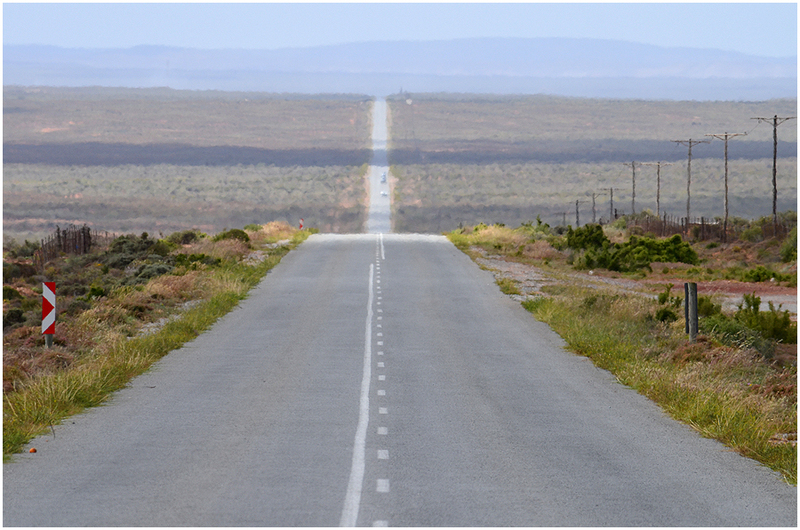 The road from Strandfontein to Lutzville, en route back to Vredendal, seems to stretch into infinity. 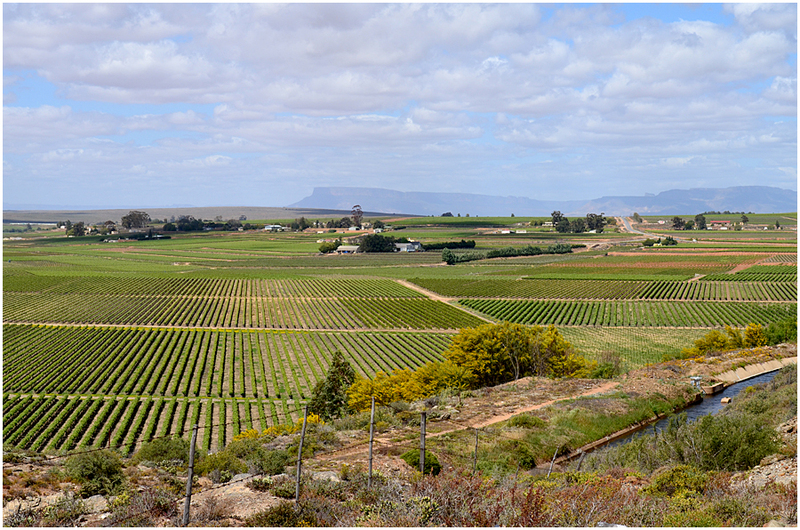 Vineyards near Lutzville. This area is well known for its fine wines. The Matzikama Mountain is on the horizon.